13 years ago I suffered a back injury which left me with 9 herniated discs, 5 of which are degenerative. This has caused me pain for years and over the years I have done physical therapy, chiropractic, massage, and taken numerous pain killers, muscle relaxers and anti-inflammatories to try and treat the pain. Nothing really made the pain better to deal with. On my last doctors visit I let him know that the pain I am in really doesn’t get better or go away with the medications. His recommendation was a higher dose pain killer than I was currently on and at that point I said no thank you and I would find another way to deal with the pain. After years of being told no you can’t workout you can’t lift weights by doctors and others I decided I would see if that was something I could do. That’s what brought me to Jada Blitz and where I met Aubree. I was a little nervous when I sat down with Aubree at the consultation and discussed what health issues I had and what my concerns were, but she was confident that she would be able to help me with my back injury. After doing the fitness evaluation I decided that I would try training to see if I could make my back pain better. With Aubree’s help I learned about foam rolling, stretching, proper supplementation and following a regular workout routine. Fast forward two months sticking this routine and I was able to go off all of my medications and have stayed off of them. My back is feeling better than it has in years and I couldn’t be more grateful. I had known about Jada Blitz for a while since I worked at the mall when the gym opened. I remember driving by one day and watched someone flipping a tire in the parking lot and thought that’s not something you see at most gyms and that stuck with me. So when it came time to look for a gym that was my first stop. From the first time I walked into the door and every time since then I have truly enjoyed being a part of Jada Blitz. 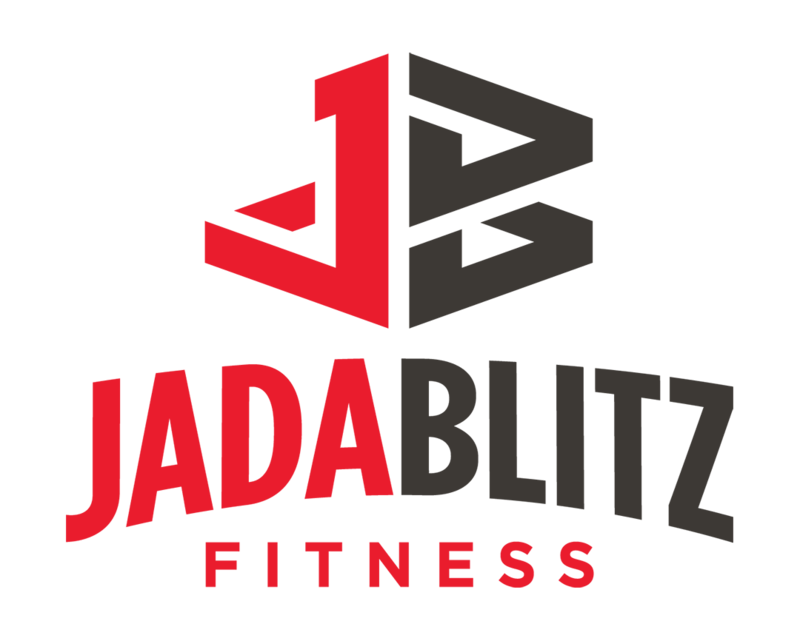 I am so glad I walked into Jada Blitz that day and if anyone is looking for a place to workout and reach their fitness goals this is the place. Training with Aubree has been amazing! I have a very busy schedule and I didn’t know where or if I could fit training into my schedule but she made it possible. In order to workout I have to train early in the morning but Aubree was right there. Every morning she is there with a smile and the encouragement to keep me going. She pushes me where I need to be pushed but she knows my limitations and we work within them. I truly believe this is why I have gotten to the point I am at. Thank You so much.